Anthropographia is proud to announce the opening of submissions for the 2010 edition. This competition, opened to all, offers an opportunity for photographers to show their work and manifest their commitment to the human rights issues. This year, 24 photoreportages and 10 multimedia productions will be selected by Anthropograhia’s advisory board which includes members who are recognized for their exceptional photojournalistic work, their commitment to contemporary photojournalism and their dedication to human rights advocacy. For the 2010 edition of Anthropographia Award, the Advisory Board will act as jury. he winning photoreportage will be published in Polka magazine. A selection of the best photoreportages and multimedia productions will also be published in the online magazine Burn. The two award-winners will participate at a private viewing of Anthropographia’s exhibition in Montreal in September 2010. The flight costs and the short stay accommodation being covered by Anthropographia. 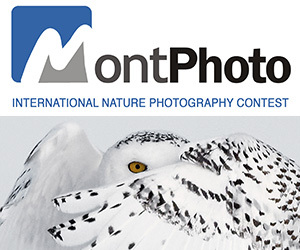 The selected photoreportages as well as the multimedia productions will first be exhibited in Toronto during the Contact Festival in May 2010, then in Montreal in September 2010 with the World Press Photo. Furthermore, the multimedia productions will then be projected across the globe through the Human Rights Films network . Anthropographia is actively working on an international network of exhibitions. Other locations and dates will be confirmed soon. Subscription fees of 30$ US will be charged to cover the server expenses and file management. Thank you for your understanding. PRIZE DETAILS: The winning photoreportage will be published in Polka magazine.A selection of the best photoreportages and multimedia productions will also be published in the online magazine Burn.The two award-winners will participate at a private viewing of Anthropographia’s exhibition in Montreal in September 2010. The flight costs and the short stay accommodation being covered by Anthropographia. ELIGIBILITY: 18+ Not eligible to enter? - Find contest where you are. COPYRIGHT: The author guarantees that he owns the photographs that he sumits. The author guarantees that he has the right to make the photographs available to the competition.The author guarantees that the photographs does not infringe upon the copyrights, trademarks, contact rights, or any other intellectual property rights of any third person or entity, or violate any person's rights of privacy or publicity. Anthropographia denies all responsibilities in case of legal pursuits relatively to any picture that show people who did not consent to appear in it, or if they contain elements whose owner did not consent that they be photographed. Anthropographia commits itself to systematically include the author’s name and copyright on all material used. Anthropographia commits itself not to sell any photograph without previously contacting the author in order to reach an agreement with him. The author accepts that his photographs be used by Anthropographia for press releases. The author accepts that his photographs be used by Anthropographia on its website. 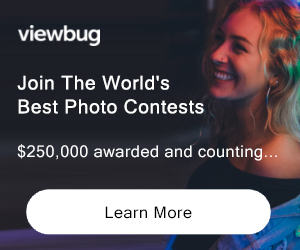 The author accepts that his photographs be used by the partner online magazine Burn on its website for documentary photograph and photojournalism promotion purposes. The winner of the “anthropographia prize for human rights”, accepts that his photographs be published in the magazine “Polka” – one of Anthropographia’s partner.